We’re on vacation and not accepting orders right now. Thanks for your patience. Please check back soon! 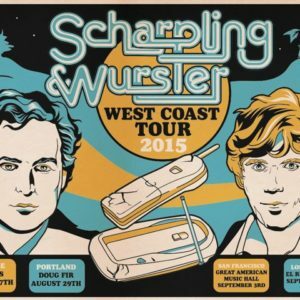 We have a handful of the Scharpling & Wurster posters that were available at the two sold-out Scharpling & Wurster shows in October to commemorate the 20th anniversary of ROCK ROT & RULE! Illustrated and designed by Jeff T. Owens. 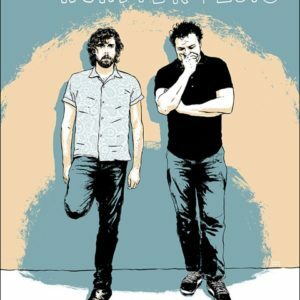 These posters are SIGNED by Tom Scharpling and Jon Wurster! When these are gone, they’re gone! Illustrated and designed by Jeff T. Owens! Signed by Tom Scharpling and Jon Wurster! 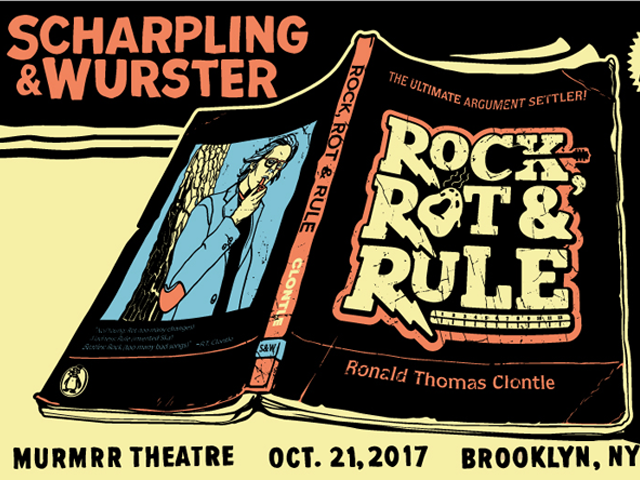 We have a handful of the Scharpling & Wurster posters that were available at the two sold-out Scharpling & Wurster shows in October to commemorate the 20th anniversary of ROCK ROT & RULE! * US ORDERS ONLY! Sorry! * Posters cannot be personalized. 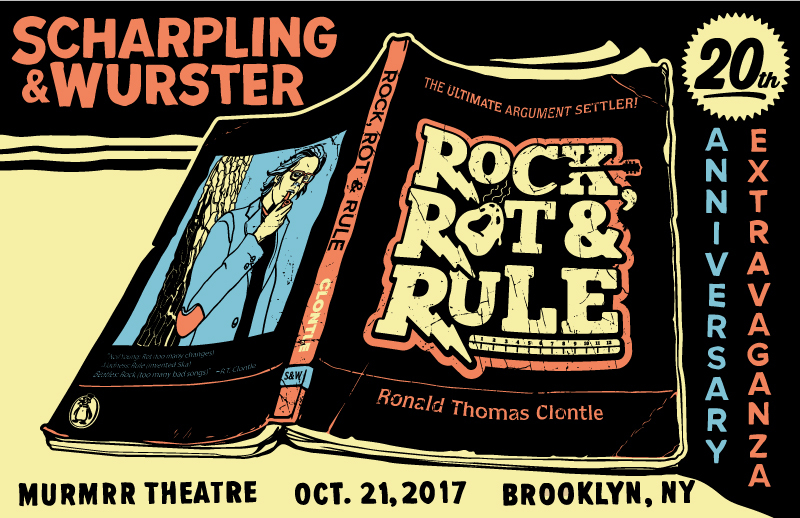 Be the first to review “* NEW* Rock, Rot & Rule 20th Anniversary Show Poster” Click here to cancel reply.